For a portion of Anastasia's younger years, she struggled drastic weight fluctuations and body dysmorphia. In middle school, she weighed less than 70 lbs at a height of 5'5". Then, she gained 80 lbs in her recovery phase. "I was one of two things," she remembered. "At first, I was a girl who struggled with anorexia and bulimia for two years. Next, I was a girl who had gained too much weight after going on a pill I was given for recovery. I was unhappy and I hated my body. That's when I found PumpUp and my life truly began to change." Two months into Anastasia's journey, she had a hard time finding motivation to maintain healthy habits. 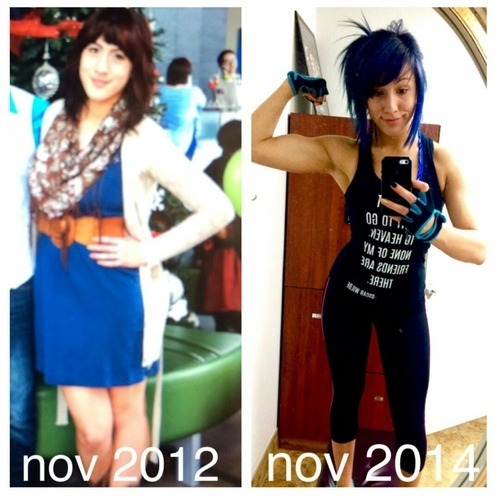 Members from the PumpUp community helped her to get back on track. Nutrition is hard to get 'right'. It takes time to find a regimen that works for you. It took years before Tarahlynn figured out how to fuel her body the right way. 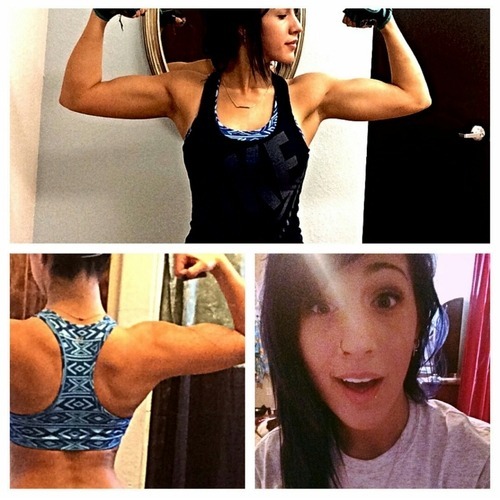 "I started using PumpUp right around the beginning of my fitness journey," she mentioned. "I ran cross country for a few years, so running was really all I knew. I paid no attention to what I ate or how much I was eating. I didn't eat breakfast or lunch, just little meals and a big dinner. At some point in the day, I would go for 1-3 mile runs and I had no idea how to properly provide my body with necessary nutrients." Things changed when Henna joined PumpUp in March 2015. "After getting to know the PumpUp community more, I realized what healthy food is really like," she explained. "You don't need to eat small portions or cut back on everything that you like. Eating a lot of vegetables and unprocessed food is the base of healthy living. PumpUp's atmosphere is something unique. Everyone is so nice to each other and each member spreads cheerful compliments and [messages of] positivity." Anne combed through resources on the Internet in an attempt to find the motivation that she so desperately sought. That's when she found PumpUp. "I hoped that the PumpUp community would motivate me, and it definitely did," she insisted. "My lifestyle before PumpUp was very up and down. I tried to be healthy and I tried to exercise, but I didn't know how to go about doing it." 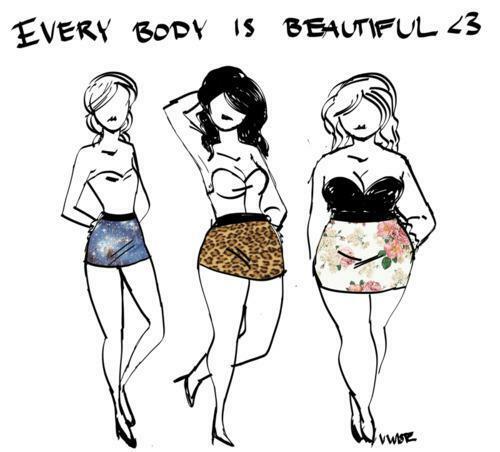 There's a misconception that those who suffer from eating disorders just 'decide' that they 'don't want to eat'. 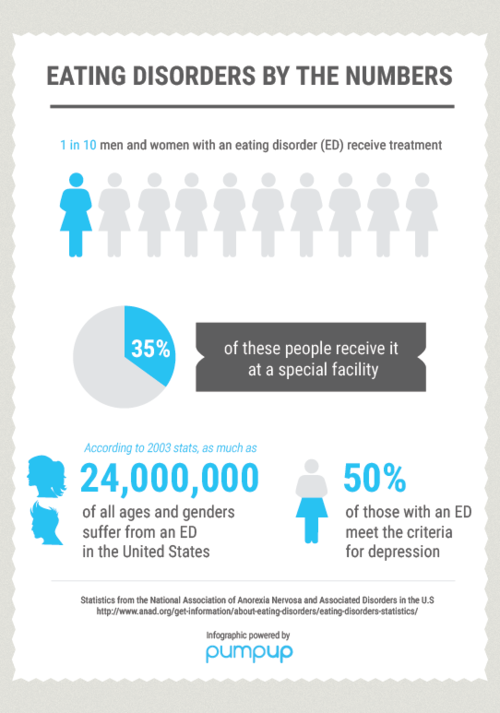 Often, others make the generalization that an eating disorder is a cry for attention. This is wrong, and I speak from experience. What do eating disorders feel like? Some eating disorders begin with tiny realizations or goals. "I can't fit into my jeans. I should lose a little weight." I started to run at first, then cut out sweets from my diet. When I started to see results and received compliments from my friends and family members, I felt a rush. The rush became an addiction. Eventually, I started to eliminate more types of food from my diet and exercised more. Little by little, it spiralled out of control. I felt like I couldn't control the way my thought process was working. I became consumed by food, sizes, and numbers. The inner voice inside my head told me that I was never good enough. I’ve suffered from anorexia for nearly 10 years. I’m not really sick anymore, but I know that it will take a lot of time for my body and mind to rebuild. One year ago, my weight was down to 82.6 lbs. I couldn’t really do anything because my body was so weak. I still forced myself to exercise constantly. I hardly ate anything: 10-15 bites of whatever my boyfriend had cooked for dinner. Most poignantly, I remember the feeling of guilt: not only because I ate, but because my boyfriend spent time cooking for me, and then I wouldn’t, couldn't eat it. This past year has been the toughest, but I decided to find a way out of the eating disorder. I had to. It destroyed my life, my boyfriend broke up with me, I got kicked out of school, I lost my friends, and my mother was miserable. Finally, I contacted my doctor, and he wrote a reference to a treatment center that took me in for three months. At the treatment center, I was placed in a group with five other girls, a dietitian and two therapists. Though the therapists were sympathetic and knowledgable, one thing that helped me the most was talking to others who were in the same situation as myself. We did self-esteem exercises, made timelines about our lives, and talked about how we were thinking and feeling. I never imagined how great talking to others about the problem would be or feel. My weight is now 110 lbs, and I feel much better. Now, I'm striving to find a balance. I exercise three times a week for 1 hour, and I eat six times a day. It’s a struggle not to add some extra hours on the workout schedule, and I don’t eat all six meals everyday – but I’m trying! Old habits are hard to get rid off, but I know I can do it. Getting out of (what I call) “Anorexia-Hell”, is the best thing I’ve ever done for myself. I’m finishing school this summer, my boyfriend and I are back together and happier than ever, and my mother, my dear mother, is no longer looking at me with a broken, worried and scared look on her face. If you’re suffering from an eating disorder, I highly recommend treatment and that you find a supportive community like PumpUp to help you. I know it seems like an impossible thing to do, but try to talk to someone about it and talk to your doctor. You will thank yourself later in life, I can assure you that. And remember that you’re not alone. 'What eating disorders feel like' was written by PumpUp member @jessicanielsen. Have more tips to share about ways to boost your self-esteem? Let us know in the comments below! Lisa was a competitive gymnast who ate fast food every day, a long-distance runner who wasn't feeding her body with proper nutrients, and a springboard diver who ate anything and everything in sight. Lisa is a gymnastics coach and a nationally-qualified bikini competitor, placing 1st in both Novice and Open Divisions. Throughout her entire life, Lisa also struggled with an addiction that a very slight percentage of women in the United States deal with, let alone other body building competitors. Lisa is a compulsive overeater in recovery. "It preoccupies my thoughts at all times: What can I eat next? When do I get to eat again? What if I run out of macros for the day? Saying no to food goes far beyond 'self-control'," she explained. "Even when my food is measured and prepped [...] I can't escape the compulsion to eat, no matter what plan or strict diet I'm on. After my bodybuilding competition, where I took home two first-place trophies, I was confident that I could tame the beast that had built up inside of me." That wasn't the case. One bite of food that didn't adhere to Lisa's meal plan ended up leading to a huge binge. "This binge brought up so many feelings of disappointment, anger, and guilt," she said dejectedly. "I thought I had enough "self control" to keep from binge eating. Heck, I went 5 months without cheating on my contest diet even once. What I'm slowly learning is that self control has nothing to do with it. I am not weak, I am strong. I have admitted to feeling powerless over food, and I'm ready to let it go." As a former gymnast, Lisa always led a fairly active and healthy life. She admitted that taking care of her body didn't always rank as her highest priority. "I lifted weights a couple of times per week but rarely did cardio, and didn't have a problem stopping at the drive-through on the way to work," she recalled. "I convinced myself that it was okay because I worked out. My energy was low on most days, but I assumed that it was due to my busy schedule." 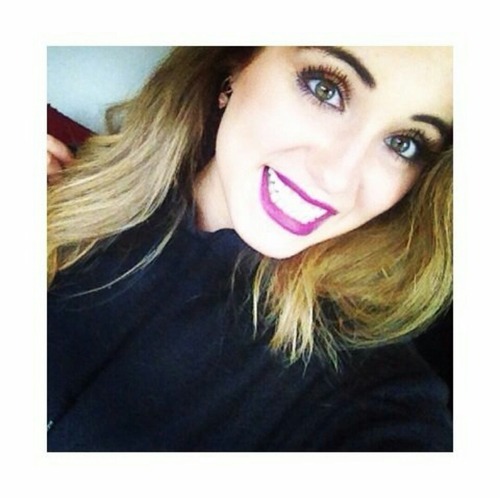 10 months ago, Lisa joined the PumpUp community in search of a support system. "My [students] were very proud to tell me that they were working out on their spare time using PumpUp," she explained. "They seemed to be having fun creating workouts [on the app]. I was immediately interested and downloaded it. I love posting everyday: whether it be a picture of what I ate for breakfast or logging a workout that I completed. My body and health are now my top priority." Since she began to share her journey with the PumpUp community, Lisa's exercise and diet regimen has been more consistent than it has been in her entire life. "I plan on keeping it that way," she stated proudly. After all of the hurdles and obstacles that Lisa bravely endured and overcame, she managed to pull herself back on track and hopes to inspire others on the PumpUp community to do the same. 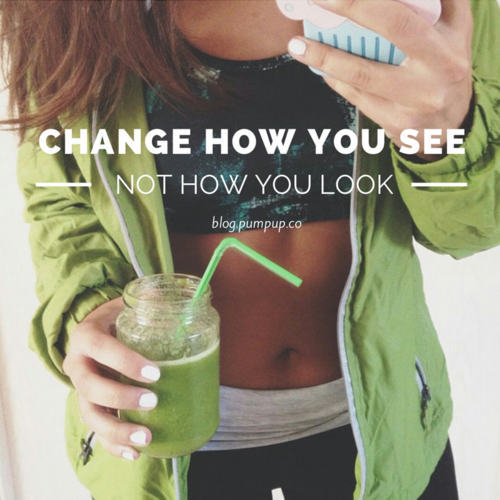 "PumpUp has given me a reason to be more open and accepting! People are using this app for support and it really allows me to feel like I can be myself, as well as accept others for who they are on each step of their fitness journey," she gushed. "I don't feel judged or disrespected, and in return I want to use PumpUp to inspire people to be confident with who they are right now." Hard work really does win, and months of training and preparation really allowed Lisa to shine after she won first place trophies at her competition, despite her compulsive eating disorder. "I know I'm not alone, and I will continue to recover one day at a time," she affirmed. "Today I feel free from the thoughts that seemed to run my life. I hope to inspire my fellow friends on PumpUp to keep pushing no matter what obstacles they face! My compulsive overeating is like a sleeping lion. I hope to keep the lion at rest, and keep my goals in sight. Today is a new day, and for that I am thankful. Just for today, I will abstain from compulsive overeating." "One of my favorite meals is my morning protein pancakes! I blend spinach, oats, egg whites, and prime nutrition's Phytoform together to make delicious pancakes that taste like fruity pebbles! You can always substitute sweet potato instead of oats! I also enjoy making French toast out of rice cakes! Soak rice cakes in egg white batter (with cinnamon and stevia) then cook it just like French Toast!" "I absolutely love weightlifting! Lifting makes me feel strong, and in my opinion is the best workout anyone can do! I enjoy training back and shoulders! Pull-ups, leg lifts and shoulder presses are some of my favorite exercises. I lift 6 days a week and that is how I choose to stay active. I'm currently also doing cardio 6 days per week. I will taper off the cardio until it's at 2x per week now that my competition training is over." "If you are looking to lead a more active life, you have to realize nobody is going to do it for you. You aren't going to want to workout everyday, you're going to want to choose a bag of chips over a piece of fruit. The reality of it is, you will need to make sacrifices. Sacrifice time each day to get to the gym, and sacrifice foods you know won't help you reach your goals! You have to install these habits and even then, it won't be easy. I have been on one heck of a roller coaster ride with ups and downs of leading a healthy lifestyle. It doesn't come easy, but once you decide to change it will be the best decision of your life! Day in and day out, do it no matter what, until giving up isn't an option anymore! You have to rise above the doubt in your head. Making this a lifestyle will take time, so don't get discouraged when you have a setback. Take it one day at a time and you will do great things!" "You've got what it takes, but it's going to take all you've got! This saying reminds me that even when I'm having a hard day that I'm not weak, I just have to give my all plus a little more." "I coach springboard diving, and gymnastics. I was a competitive gymnast for 7 years. In 2013 I placed second in the state for springboard diving. I am a nationally qualified bikini competitor placing 1st in both novice and open. I have a hairless cat named Baldwynne. I'm studying to get my NASM personal training certification." Keep Lisa pumped on the PumpUp app @fitlisa! Recovery from EDNOS is tenuous and specific to each individual. The wonderful and enigmatic Cory Breann shared about the steps she took to recover in a way that made the most sense for her. In this video, she divulges the strategies that gradually enabled her to increase her calorie intake and food consumption in a healthy way. She’s also a beauty vlogger who has been using PumpUp as a way to incorporate exercise into her routine while also healing from her eating disorder. Connect with Cory on PumpUp @coryxxbreann and on Instagram and Twitter! 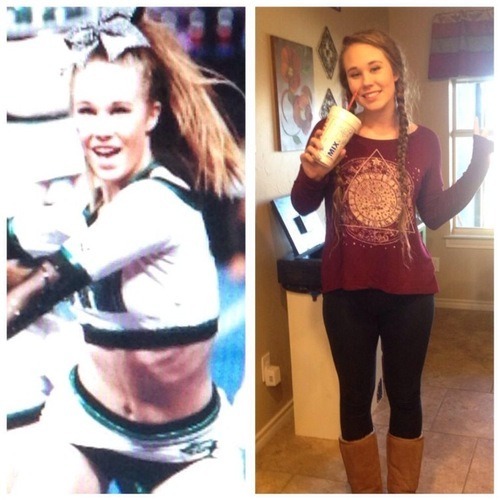 Katie has been on PumpUp for almost a year—and look how far she’s come! “I was starting to make a change in my lifestyle and I figured that using the app would be a good way to help me get started and keep track of my progress,” she exclaimed. Not only has Katie been consistent about updating the PumpUp community about her transformation, she gives back unwavering support to other members as well. It was difficult for Katie to cope with the physiological changes brought on by her weight gain. “I was pretty depressed about my body image and I struggled with losing weight in extremely unhealthy ways,” she revealed. “Living [with an eating disorder] left me miserable and I felt too weak to do even the simplest of daily tasks.” Nevertheless, Katie bravely recovered from her eating disorder, put weight back on, but began to feel sluggish all the time. “I knew it wasn’t the way that a normal person in their twenties should be feeling,” she recalled. Now a self-professed gym-junkie, Katie wouldn’t trade her active lifestyle for the world. “If you had ever told the old me that I’d be a gym junkie, I would have probably laughed in your face!” she gleamed. “But look at me now!” Since she joined PumpUp, Katie eats clean most of the time and eats more frequently than she ever has before. “I push for 5 small meals a day. But every once in awhile I remember how much I love cookies…I’m a sucker for a chocolate chip cookie,” nodded Katie. She also manages to work out 5-6 days a week, despite her hectic schedule. “I wouldn’t have it any other way,” she affirmed. She counsels other PumpUp members to find motivation from within his or herself. “Hold on to that motivation for dear life,” she urged. “You are so beautiful and so worth working for! Don’t let anyone tell you that you can’t do anything.” Recognizing personal victories is an important part of the process for Katie. “Love yourself through all the successes and failures of your journey! You will fall, but that only makes victory that much sweeter when it’s accomplished,” she continued. Moving forward, Katie aspires to help other people find comfort in their own skin, just like she found comfort in hers. Find Katie on PumpUp and Instagram @KatieEliza_ to keep her pumped! 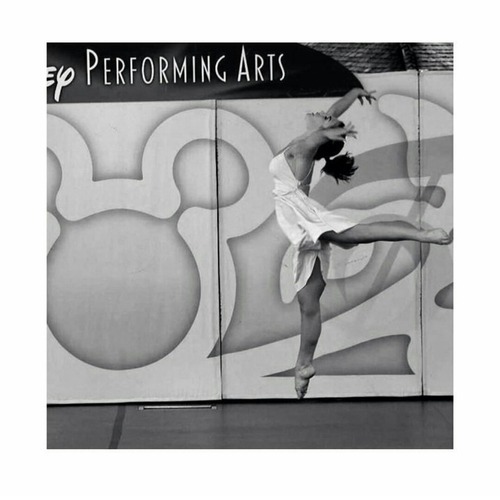 There’s a saying that “If to dance is to dream, then you make dreams come true.” The spotlight beams on PumpUp’s fantastic dancer @fitgirl_95 for inspiring the community with her strength in overcoming personal struggles such as depression and anorexia. She was brave enough to discuss these with us in hopes that she could help inspire others. She leads an incredibly active lifestyle and attributes much of her success to you, the PumpUp community! Learn more about her down below. M. reveals that she now is in a much happier place from where she was before. She eats three full and healthy meals a day, respects her lactose intolerance and celiac condition, and eats organic as much as she can. “Lots of fruits and veggies are key,” says M. “I learnt and am still learning that moderation is the solution.” She does not ignore her hunger, and instead turns to healthy and satisfying alternatives to sweets. “Sure, I’ll have a fruit or almonds…never candies and doughnuts anymore,” tells M.
She exercises 5 times a week, alternating between 1.5 hour dance classes twice a week and cardio, weightlifting, and Pilates for the others. “The elliptical is safest for a hip injury I have, and Blogilates on YouTube is my favourite for Pilates,” she gushes. M. professes that her physical and mental health has improved significantly since she joined PumpUp. “I have to thank all of the wonderful members for that,” she explains. “They are honestly true friends…almost like family! I am so grateful and I am sure they don’t even know how much of an impact they all had on my life.” In the future, M. hopes to inspire people to the best of her abilities in a similar fashion to how she was able to recover with the help of other PumpUp members. “I also hope to maintain a healthy lifestyle for the rest of my life,” muses M.
Favourite Snack: I LOVE having frozen mangoes of grapes as a yummy refreshing snack. Sometimes I blend some frozen mangoes with a bind of coconut water or almond milk to make a yummy sorbet type of snack. I also love kale chips. Favorite Meal: Hands down, sushi. I could have it all day everyday! Favorite Drink: Tea. It’s like an even healthier version of water and it is so good especially at this time of the year when it’s cold outside (especially here in Montreal). 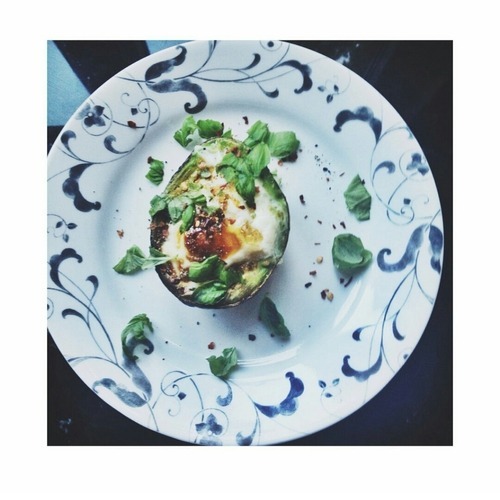 Favourite Recipe: I try to post a few on my PumpUp page. I enjoy so many types and different foods, it is hard to pick just one I love my simple smoked salmon, avocado toast or my grilled and spiced grapefruit. All so yummy! “Don’t tell me the sky’s the limit when there’s footprints on the moon.” I feel that is so true! We always say “Oh, sky’s the limit”. But why do we limit ourselves to it? No, reverse the convention, go even further in what you want (fitness related or any other), go further than ANYONE would ever thought you would be able to go. Do NOT ever limit yourself for anything that someone said or has done. YOU are your limit and YOU set it. DANCE ! I’ve been dancing for 17 years now and dance is such a liberating sport. The feeling when you dance is pure freedom, pure inspiration and motivation to do more and more again and again. You sweat and workout without realizing it. It is truly amazing. Apart from that, I run on an elliptical machine for about an hour alternating walking and running. I also do some weight lifting and some Blogilates routines. Blogilates is an amazing YouTube channel! It proposes routines for every part of your body and for every level too, plus they really work :). I also try to do simple things like taking the stairs, walking home instead of taking the bus, little things like that. I think everyone that follows me knows that I am a dancer. I’ve been a dancer for more than 17 years now and it’s a true passion. From ballet, to tap, jazz, hip hop, jazz funk, contemporary, jazz funk, broadway, modern, I love to try them all. I feel that you can only enrich yourself by trying and seeing new things. Dance, to me, is not only a way to move and do exercise. It’s been my life jacket through all of my health and mental problems. I honestly think that without dance, I would not be here today answering all of these questions. It’s a part of me, a part of me that I’m proud of. Apart from that, I am a real nerd in school. I study REALLY hard and love learning. I am aspiring to get into med school one day and help others in need.